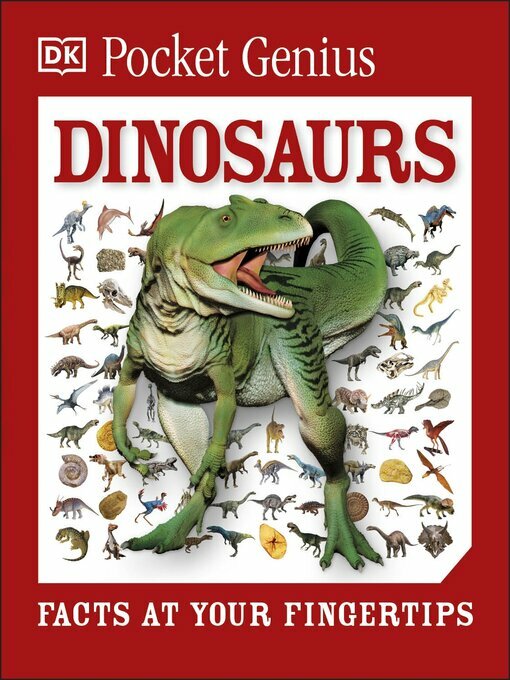 DK's Pocket Genius: Dinosaurs profiles more than 140 prehistoric animals and features fossils, skeletons, anatomy, and history as well as species including dinosaurs on land, winged pterosaurs in the sky, and a range of sea monsters in the ocean. Find out what they looked like, where they lived, how they ate, and about the fossils they've left behind and their relatives that still roam the Earth today. Catalog entries packed with facts provide at-a-glance information, while locator icons offer immediately recognizable references to aid navigation and understanding, and fact files round off the book with fun facts such as record breakers and timelines. Each mini-encyclopedia is filled with facts on subjects ranging from animals to history, cars to dogs, and Earth to space and combines a child-friendly layout with engaging photography and bite-size chunks of text that will encourage and inform even the most reluctant readers.